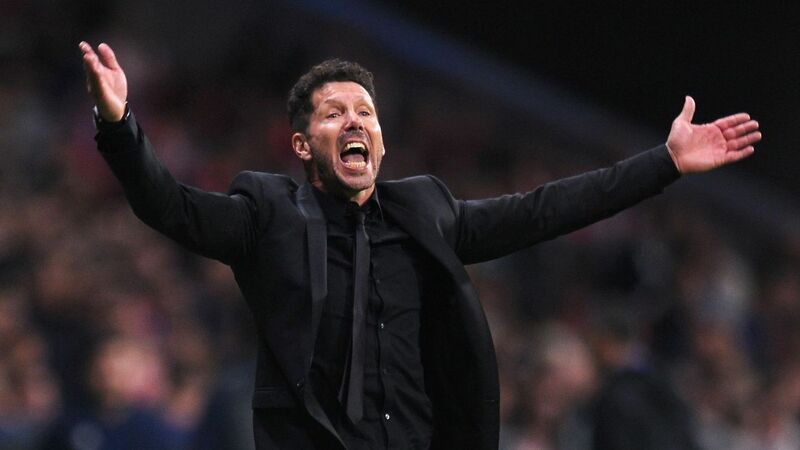 Simeone has established Atletico among Europe’s leading clubs since taking charge in 2011, winning the Europa League, Copa del Rey and La Liga as well as reaching the Champions League final in both 2014 and 2016. Atletico have endured a difficult 2017-18 campaign so far, though, with Simeone’s side currently fourth in La Liga, eight points behind leaders Barcelona, and in serious danger of failing to qualify for the knockout stages of Champions League. Antoine Griezmann — who was a finalist for the 2016 FIFA Best Men’s Player award alongside Cristiano Ronaldo and Lionel Messi — has failed to replicate the form of previous seasons and was substituted during the recent victory over Deportivo La Coruna while Atletico were still searching for a breakthrough. Asked if the 26-year-old remains untouchable, Cerezo said: “He hasn’t had much luck at the start of this season. He had a fantastic end to the previous season and he is still considered one of the best three players in the world. The advantage is that he is younger and has more of a future than the other two. Griezmann agreed a new contract in the summer despite having been strongly linked with Manchester United, but his €100 million buyout clause remained intact. The forward suggested he had agreed to stay as a result of Atletico failing to get their transfer ban overturned, and with Diego Costa set to be registered in January after his return from Chelsea, the France international’s future remains the subject of regular speculation. “We have put in a lot of effort to keep him and to keep all the players,” Cerezo said. “The problem Griezmann has had is that a series of news stories about other important European clubs wanting him has not benefited him.